All of our services are available to commercial customers. Call us to find out more. Of course, commercial drains are susceptible to exactly the same problems as domestic drains, but their size often causes them to encounter the problems – and therefore damage – on a much larger scale. This means that maintenance, regular cleaning and routine testing are vital for keeping commercial drains running as they should. One of the most common problems we find with commercial drains is blockages. This is often down to the type of industry and building the drains are servicing. Grease is a huge problem for commercial drains, particularly for restaurants and other large kitchens. In these environments, grease traps are crucial, as they catch a lot of the sticky waste substances produced. This prevents them from entering into the pipe system, clogging the pipes, and causing drains to become blocked. On industrial or construction sites, debris is a primary cause of pipe blockages. A lot of the materials used on these sites causes loads of dust, which gets everywhere. If debris like this makes it into a drainage system, it does not break down in the water, and the pipe quickly becomes clogged. In these cases, regular maintenance is hugely beneficial. While environments like large office blocks or schools suffer from a lot of blocked drains caused by foreign objects. We find all sorts of things when we’re called out to service drains in this kind of environment, from dental floss, paper and hair, to nappies and even toys. We can carry out urinal descaling and unblocking to keep the system up and running. We can carry out pre-planned maintenance to help avoid blockages and make sure the drainage system is well maintained. Water systems can get blocked up with grit, stones, and leaves. We can use high pressure water jetting to clean the gullies for car parks etc., to ensure that rain water systems are running correctly. We can empty and service grease traps in commercial kitchens, removing and disposing of fat, and making sure the trap is clean and in full working order. We can conduct CCTV surveys and provide comprehensive reports on drainage systems, to identify the cause of any drainage problems and select the best course of action for repair. We can test your drains using industry standard air or water tests to locate any leaks or blockages, or simply to make sure that the drains are in good condition. We can use our state of the art, ‘non-dig’ pipe and drain repair techniques to repair any fractured or broken pipes we find with very little excavation. This minimises costs and inconvenience, and allows business to continue as usual. We work with letting agents to take pictures of any blocked drains or drainage issues in properties to help determine whether the landlord or the tenant is responsible for repair or replacement. 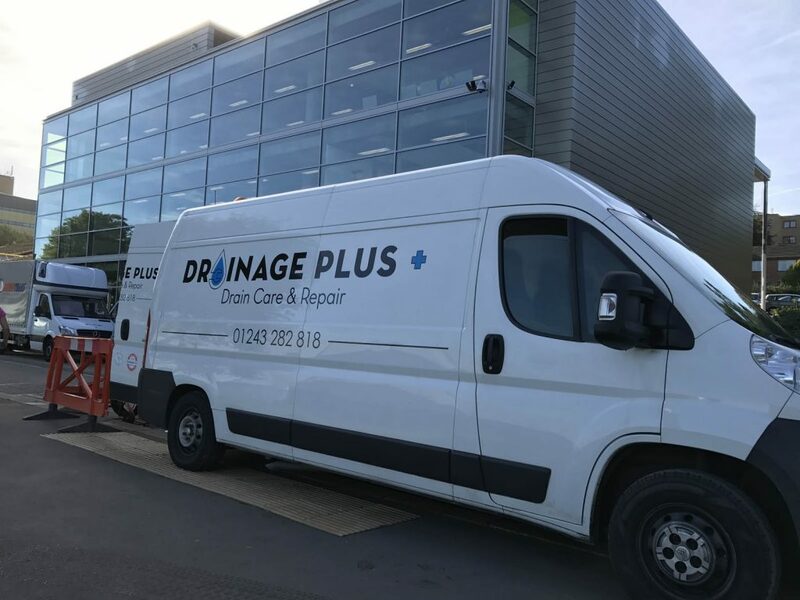 We are available 24/7, so we can assist you with any drainage problem at any time of day, ensuring that the inconvenience to you or your business is minimised. 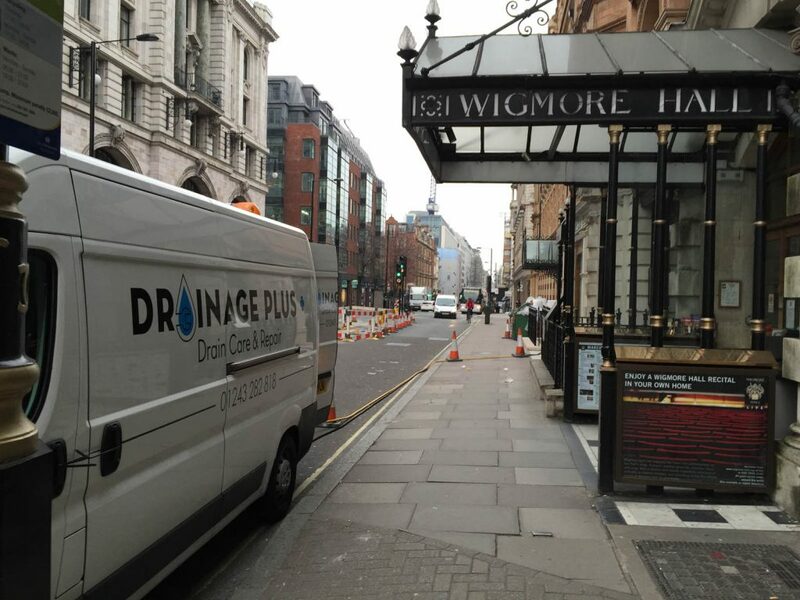 We can also conduct drain mapping around sites. This involves creating a detailed plan of a property’s drainage system, and helps to identify any existing issues or places where issues might occur in the future.